There are so many things I loved about this book; not the least of which is the historical aspect. I really appreciated the version I read on my Nook because it had the extra feature of being able to click on links for further reading without leaving the book. It's just so fascinating - and horrifying - to learn how World War II impacted the tiny island of Guernsey. Imagine living on this tiny island in the English channel and being able to see the the Germans as they invaded France! And worse, being occupied by the Germans for the duration of the war. The British decided not to bother defending the island; they decided it was unimportant militarily and gave it up without a fight. 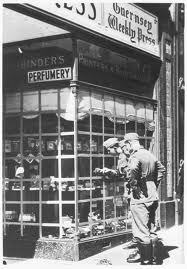 Which meant troops of Germans everywhere, curfews and very strict rationing. The threat of being shipped off to concentration and or work camps was never far away. For their own safety, many of the island's children were evacuated to the English countryside where they had to live with complete strangers, while their parents remained on Guernsey, missing them desperately. What an amazing setting for this book of letters to and from a celebrated author, Juliet Ashton, and the members of the Guernsey Literary & Potato Peel Pie Society, a group initiallly formed in an effort to fool the Germans into thinking its members had been discussing books rather than roasting a verbotin pig! I was constantly asking people if one, they knew where Guernsey was and two, did they know that this tiny British island had been occupied by the Germans for five years during World War II? That when they first arrived the Germans would walk four and five abreast down the streets like they owned the place? The very idea makes me shiver! Reading the letters was a little distracting at first; I found myself having to go back and read the salutation to know who was writing to Juliet. Trying to form a mental picture of the person wasn't so easy until Juliet finally went to Guernsey herself. Thank God! At that point everything jelled and I really began to feel deeply for each and every character. I was jealous that Juliet got to go and visit the island and experience this wonderful motley crew for herself! I found the love story aspect predictable - deliciously so! The writers followed the recipe and ended up with a beautiful little souffle and I enjoyed every mouthful ... much more than I would have enjoyed potato peel pie I am sure! The cast of characters in this novel based on historical fact is compelling from its major to minor characters. And knowing it will be a film makes them even more exciting to contemplate. Juliet, the writer, is vivacious, independent-minded, bright, warmhearted and curious about the islanders and their experience. At this point, she's the only one cast. 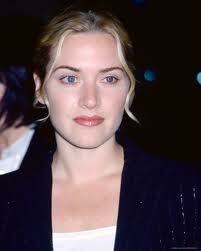 Branagh has selected Kate Winslet to play the role.Sidney, her longtime friend and publisher, adores her. Is there something more than friendship there? If we are doing famous actors here, I think Hugh Grant would be perfect. 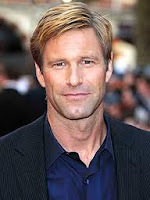 Dawsey Adams, is the strong silent and irrisistable type. Frankly we know almost from page 1 that he and Juliet will end up together but for me it didn't make the journey there any less wonderful. I am banking on Colin Firth. Elizabeth, the heroic woman we only hear stories of is simply epic. The bravery of her actions - from her choice of romantic partner to how she stands up for what she knows is right truly is the stuff legends are made of. She is sent to Ravensbrook for her crimes. Hmm. Strong and important part. Cate Blanchett? Kit, Elizabeth's daughter, adorable, stubborn and precocious. The society is basically raising her, hoping for Elizabeths' return to the island. 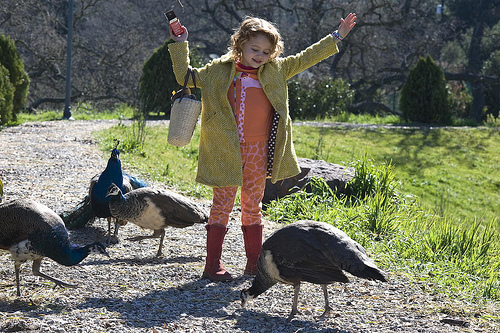 They need a Brit version of the cute little girl in We Bought A Zoo. Mark Reynolds is rich, powerful, handsome and smoothly confident. he's the American publisher who begins wooing Juliet professionally but soon starts to court her personally. Juliet is torn in terms of her feelings as well as what she wants to do with her life. In London, life with Mark is non-stop glamour. He wants her on his arm, sharing that life and is less than understanding about her interest in these people and the book she wants to write about them. Aaron Eckhardt? Amelia Maughery is a central figure, an older woman and the semi matriarch of the group. 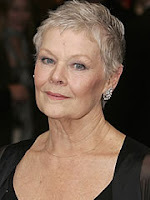 Judi Dench? Remy, the French woman Elizabeth befriends while imprisoned. ??? What do you think? Who would you cast in the movie version of this book? I've resisted reading this book for some reason (I think maybe it's the tongue-twisty title) but my resolve is waning! It actually sounds like a pretty good read. And those actors! I would totally watch the movie version if it had any one of them in the cast. It is tongue twisty, isn't it? 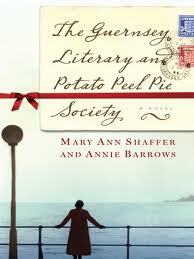 I never remember if it's the potato peel or the literary part that comes first. I had /have the same trouble with Incredibly Loud and Extremely Close which could very well be Extremely Loud and Incredibly Close. I always have to double check. Ah, I just checked and it's the latter, LOL! I didn't even know there was going to be a movie until I visited your blog (so thank you for that). 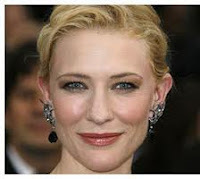 Your casting is great and is probably very close, if not exactly who I would cast. I loved this book so much I am a little worried about it being a movie but knowing who is involved already makes me feel better. That makes me so happy, Martha. The fact that Kenneth Branagh is directing AND pushing back the movie so he can get the casting right is encouraging for sure. But I know what you mean; I'm a bit worried too because of the format. Maybe he'll open with a letter that fades into a flashback that ... so glad I don't have to figure it out! I know what Martha is saying...its such a great book, that having it be a so-so - or bad! - movie would be horrible. But, you make is sound as though it is in capable hands. And, you know about a thousand times more about the movie biz than I do. So, it sounds pretty hopeful! 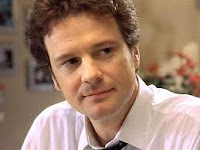 I think Branagh will do great in terms of the Juliet's relationships with the islanders as well as as Mark and Sidney etc, but I do think the events that took place during the war will be a challenge. What he needs is a really good Assistant Director to lay out a production schedule...should I tell him my husband is available? That would be so much fun!